While drought is part of nature's cycle, many experts fear that manmade climate change is accelerating and deepening such impacts. Lake Mead and the Hoover Dam saw severe drought in 2006, evidenced by the bathtub ring showing earlier water levels. 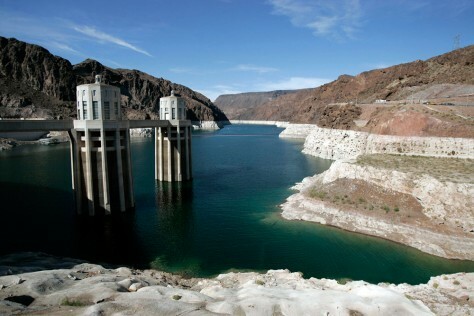 A recent study said Lake Mead in Nevada and Arizona and Lake Powell in Arizona and Utah — two of the largest manmade reservoirs in the country and key water sources for Southwestern states — could go dry by 2020.